Thursday evening on #langchat we had a great discussion about what had worked well for us in 2017. 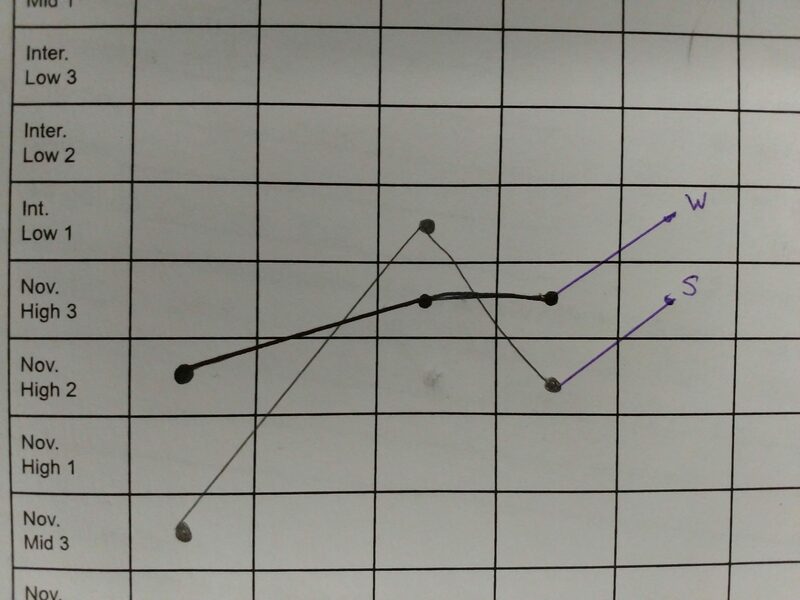 When I shared that I had begun having my students graph their progress toward proficiency, several people expressed interest. So I thought I’d type up a quick post about what we’ve been doing and what I’ve learned from the process. There are a few reasons why I consider the simple task of graphing proficiency/performance progress to be one of my successes in 2017. 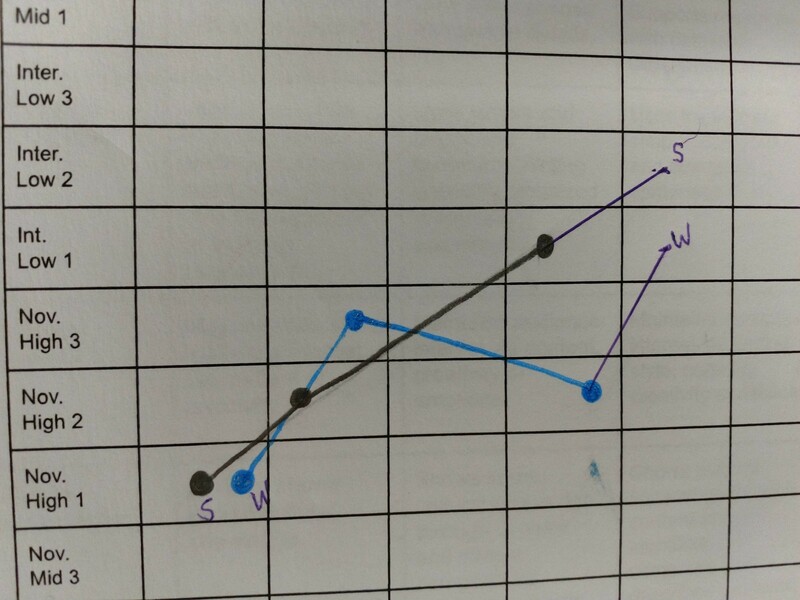 For one, I LOVED the conversations that I heard among my students as they completed their graphs each time. 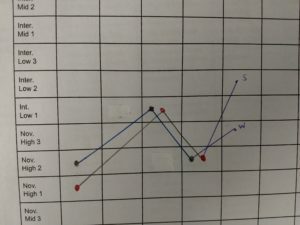 It is so much more meaningful to hear “I moved up to Intermediate Low 1” than “I got a B.” These graphs are also a great visual for my students. As we transition toward teaching for proficiency (and away from discrete point assessments) some students question “what” they’re learning. 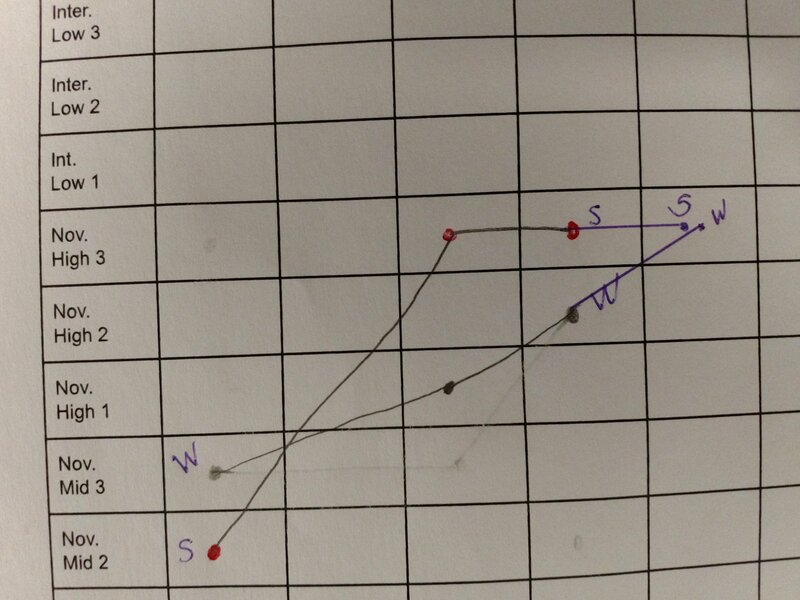 These graphs help students to see their progress in a concrete way. These graphs also inform my instructional and assessment practices. 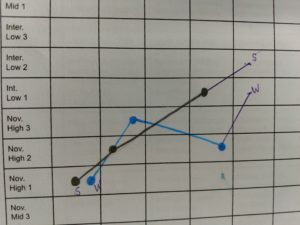 Because nearly every student performed lower on the 3rd IPA, I had to take a long, hard look at this assessment (from this post). My conclusion is that the prompts that I used for the writing and speaking tasks did not encourage the students to stretch in a way that would demonstrate their highest proficiency/performance. Few students ask the variety of questions that would enable them to demonstrate Intermediate interpersonal communication and most did not include the compound sentences, creativity and cultural competence described in the Intermediate descriptors for the presentational mode. I clearly need to either change these prompts and provide additional direction and targeted practice the next time I teach this unit. I also wonder whether some of the results may indicate a lack of evaluator reliability on my part. As with most rubrics, there is a bit of subjectivity and I hope to increase my consistency as I continue to use these rubrics. This entry was posted in Assessment, Musings on January 6, 2018 by madameshepard. I love this idea! 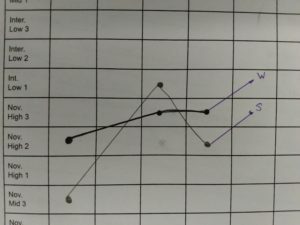 It is wonderful to focus the students on their demonstrated performance level rather than their grade, and with all the shades of grey you have in your rubric, you can really document the movement and growth. 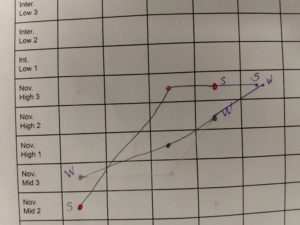 I also think it’s so important for students to see how many of them have progress that goes UP and DOWN – it’s not just a straight angle to the top! 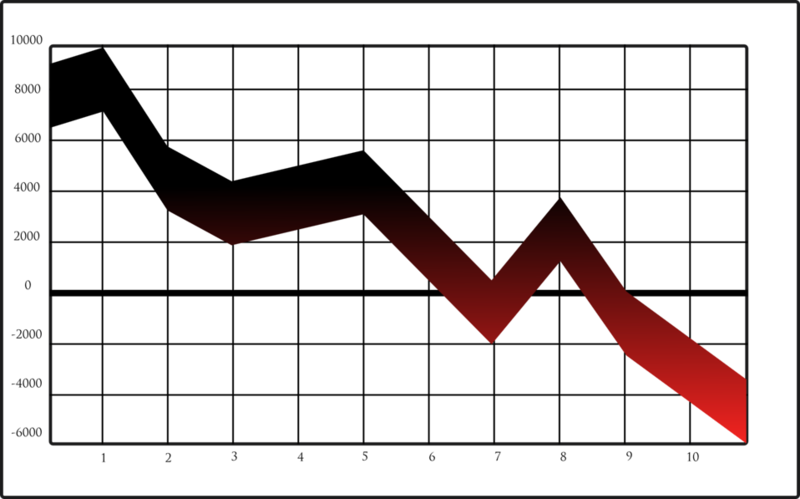 1) What does the last segment of each line represent? I see that is in a different color and connects dots . three and four.- Is this projected growth? 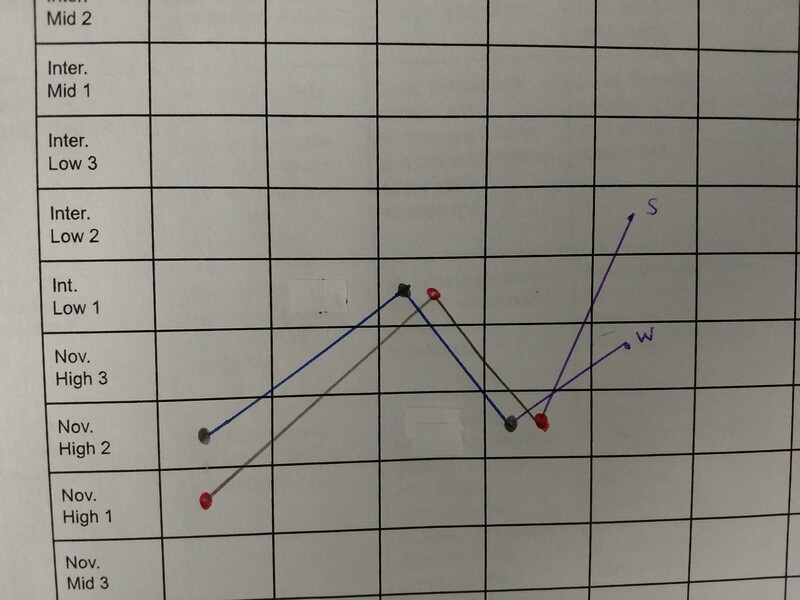 2) It seems these graphs are done on paper, rather than digitally. Do you house these graphs in a file in your room? Do you think you would have any use for a digital badge leaderboard? I am currently working on coding something similar to track proficiency progress throughout 4 years of a language. It sounds like a great idea–everybody I’d love to know more! Thank you so much for this post and for all the other excellent lessons and reflections. You are my mentor from afar, and have inspired me to drastically revise my thinking about instruction and assessment and to dig in to proficiency-based instruction. After 14 years of teaching French, I will be implementing some proficiency-based instruction and assessment this year. I tweaked one of your rubrics and used it for the final speaking and writing assessment last year, and the response of the students was remarkable! I have some nitty-gritty questions about translating grades on IPAs in the grade book to accurately reflect student proficiency levels. Do you give a separate grade for reading, writing, listening and speaking? How do you weight categories? Hi, Mary. Thank you so much for your comments. Yes, I do give separate grades for each of those skill areas and I weight them evenly at 20%. I use the remaining 20% for formative assessments and/or exams, depending on the school’s requirements. Please let me know if you have other questions.